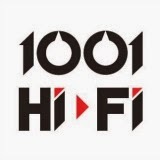 thevintageknob.org • View topic - Where was your favorite hi-fi heaven ? Where was your favorite hi-fi heaven ? Scouting old french hi-fi magazine, I got to realize there was hi-fi shops aplenty in Paris, hundreds actually ! But where did they all go since the mid 1980s ? Are some of them still there ? What did become of the hi-fi "temples" ? Those huge shops with hundreds of knobby receivers, walls of loudspeakers, recorders everywhere and a staff of twenty ready to help you choose between a Sansui or a Pioneer or a Sony or a Kenwood or a Braun or an Onkyo or or. Judging by the number of ads, small or big, good or bad, there seems to have been one hi-fi shop in every other street ! With many of those ads copied in my iPhone, I decided to go make snapshots of those places which used to be "hi-fi heaven". The first one I got is very close to my flat, just down Montmartre, at the Place Clichy : King Music. According to the many 2-page ads published between 1971 and 1976, that King Music had 2500 square meters of exhibition spread over five floors - it was the entire building ! Equivalent King "hi-fi supermarkets" were already opened in eight other major french cities, with 14 others planned for opening throughout 1974. Here attached is a january 1974 ad and its "36 years after" equivalent shot this afternoon. King Music is no more : a bank and an insurance company it is. I'll be doing this throughout august (best time for free rollerblading in Paris) and it would be interesting if some of you could bring snapshots of your own before/after "where my hi-fi heaven was" ! Re: Where was your favorite hi-fi heaven ? All the real hifi shops seem to have disappeared throughout the years, all around me. It's a sad thing. I grew up in a smallish town in Canada so we didn't really have any big hifi shops. I wasn't old enough to get into hifi until the mid-nintees anyway though, so I missed the golden age by a long shot! Looking back I really get the feeling that where I grew up was way behind the times when it came to hifi. I never even heard about CD until the early 90's! One shop I do know though that's been around forever is this one in Toronto. They have some pictures on their homepage from each decade since the 40's! If I try to think back the first time I saw a real dream showroom it would have to be when I visited the Sony store in Ginza in 2003 or so. They had a floor dedicated to Qualia and a full Series-1 setup. It left a big impression! Tokyo is one place I'm sure was full of amazing stores in the golden era. I'm going to see if I can find some cool ads in my back issues of Stereo Sound and go look them up. I expect most look completely different now though since they love to demolish and rebuild here. I can't go to Tokyo but in my 1970-1985 Stereo Sound issues, I mostly find interior pictures -huge walls of everything- but no "devanture", front window shot. Here is another one : Hi-Fi Delvallée, 85 boulevard Haussmann, near St Lazare station. I alas have no front image but the late 1973 advertising style is typically... grandiloquent ! Delvallée also was a big advertiser in french hi-fi mags between the early and mid 1970s, always telling the (potential) customers that they would be in command themselves at the "mixing desk", switching between pre-wired compositions. Delvallée is clearly directing an orchestra when at said switching board. Here's another of the Delvallée GRANDiloquent ads : october 1973. Anyone remember those backlit Sony ES store signs they used to put at the store front? Unfortunately I've never been to a dream hi-fi showroom. I used to hangout a lot at Bay Bloor Radio in TO during the nineties, they had the best and biggest headphone auditioning wall (I spent a lot of time there listening to the AKG K-1000 that I could not afford), never bought much if anything there tho (didn't have a clue what was Arcam or Cambridge or Naim or Mark Levinson, as I was just a poor high school kid using Sony personal audio stuff). I'm quite fond of the old Sony Store setup of the early nineties, where store lighting was very dark, with a ton of black faceplate equipment to emphasize high end, and the back of the store had the awesome ES showroom when everything was still heavy and Made in Japan with 4 digit price tags. In Toronto there was also Kromer Radio, a place where I managed to buy a lot of Sony Super Metal Master tapes! There were also a few posh hi-fi stores around Yonge and Eglinton and also Yorkville but they don't have much selection, mostly super high-end stuff like McIntosh. Interesting I've never seen an Accuphase dealer around here. In Cologne I had my very first encounter with those super stylish Sony pre ESPRIT components in mid 80ies in the Saturn "Superstore". This stuff was really impressing for a little Highschool kid for whom a TA-E86B or a TA-N86B(even with a huge sale discount) was an unaffordable investment. About 13 long years later this dream finally became reality. This shop was never as stylish as most other smaller Hifi places, but it was the biggest in Europe, with a huge collection for hardware and especially software (records, CDs). 2 1/2 decades later the concept of these large stores is rather normal, in every bigger city you find them (they made a discounter chain out of that) but the small Hifi shop with the local Guru around the corner is an unseen rarity nowadays. Well, here is my story. I was born and raised in the heart of Transylvania in the city called Cluj-Napoca (Kolozsvar in Hungarian and Klausenburg in German) and I have two "Music" stores to present you. Since I don't have old pictures, I will show you the locations as they are today in 2010. In the first picture you see what today is an Orange (gsm) shop. In the communist era this was a shop called "Muzica" and they were selling at the first part of the store musical instruments, at the second half there were electronics such as black&white TV, tape recorders (1 maybe 2 if you were lucky) and loudspeakers from the communist countries such as Russia, Czeho-Slovakia, Poland, Bulgaria, Germany (east G), and at the back there were.............flowers. If you wanted a serious HiFi product (cheap or expensive, mainly Japanese) you had to read the ads in newspapers to buy one from here. This was the "tolerated" black market. The other way was to buy dollars or deutsche mark (also on the black market) and go to the so called "dollar shop" (a small no name shop) to buy something. That something for me was an AKAI GX-620 tape recorder in 1983. The second picture has a more happy (?) story. This shop, that today is a bank was in the early nintees THE Pioneer shop. This was a very nice shop with the ground level for various electronics and at the mezzanine there was the Pioneer (Yamaha) shop. But today we have shops, just like everybody around the world. Large stores for computers, home appliances, LCD TV's, all in one Home Cinema etc. If you try hard (very very hard) you will find one or two wery small, hidden shops struggeling to sell the real deal. Last edited by NEMOaudio on Thu Oct 07, 2010 5:56 pm, edited 3 times in total. As I went to Russia in 1987, I always wondered hifi-wise what did happen in politically and economically "closed" countries, generally under the communist system. So the system was the usual one - black market ! Do you know when this started to be "tolerated" and/or when supplies started to arrive and/or be asked for ? Mid 1970s ? but if "dark clounds surround you" we might tell that you are a collaborator"
Major electronics company came here only after 1989 when the regim was changed. Before 1989 as far as I know there was only AKAI in those shops. AKAI was also activ in Hungary. They had together with hungarian VIDEOTON, music racks. VIDEOTON amplifier, tuner and "matching" AKAI cassette and turntable. Those racks were available only in Hungary, more of that can tell you somebody from Hungary.